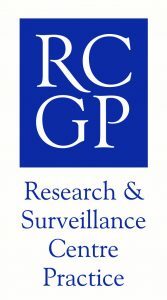 Harptree and Cameley Surgeries have recently become involved in research through the Royal College of General Practitioners Research and Surveillance Centre, and have joined the National Monitoring Network. This means that we have ​’Research Ready Advanced’ accreditation, and that we allow anonymised data extraction from our clinical records by the Research Centre, and that we submit some clinical data through some testing means such as nasal or throat swabs during the flu season, for instance. You would be asked for your consent before such swabs are taken, but you would need to ‘opt out’ of the anonymised data extraction if you did not want any information about infections and diseases being used for research purposes. We hope to become more involved in research as a practice, as it helps to improve patient care nationally, and allows Public Health England, and GP practices across the country, to respond to sudden spikes in infections such as flu or measles.